I missed 20:50 in its first incarnation at Matt’s Gallery – then on Martello Street in Hackney – in 1987, so my first encounter with it was at the original Saatchi Gallery space on Boundary Road in St John’s Wood – a former paint factory converted into a white walled gallery space – in the early 1990s. The room was large with plain white walls meaning that the disorientating reflections came mostly from the beams and skylight above. The Boundary Road space hosted some great exhibitions but no trip there was ever complete without a visit to 20:50. 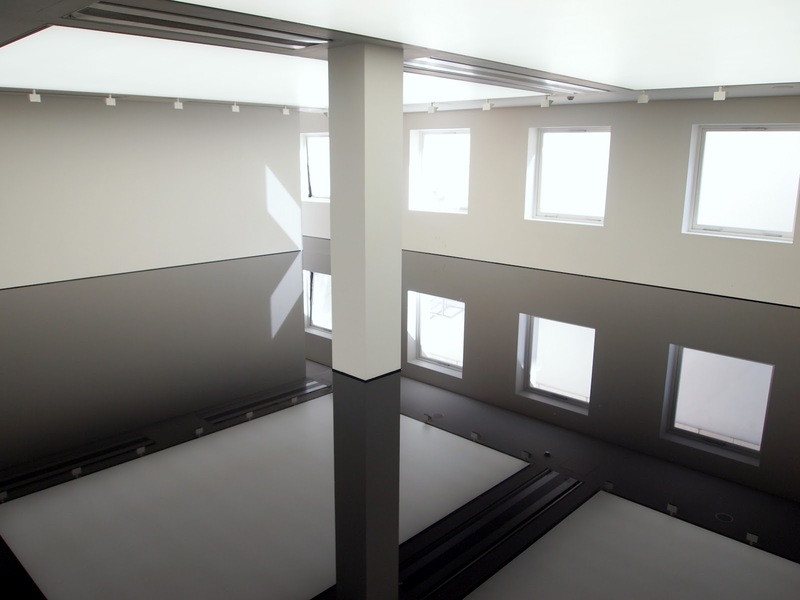 Standing at the end of the narrow walkway, alone in the middle of the room, surrounded by a reflection that turns the space upside down around you is an extraordinary experience. The industrial origins of the building provide stark structure to the reflection. The experience was essentially the same on every visit – apart from the unexpected disruption of water dripping slowly from the roof above on one particularly rainy day shortly before the gallery moved to County Hall – but nonetheless I think I could happily have visited the installation on a daily basis without tiring of it . The Saatchi Gallery’s move to County Hall – the former home of the Greater London Council – was a controversial one. The notion of the white cube gallery space may be a relatively recent one but it’s entrenched in our understanding of how contemporary art should be seen and there were many – including some of the young British artists whose work formed a substantial part of the Saatchi collection at that time – who disliked the endless corridors and often rather grand rooms and considered the building inappropriate as a space to show contemporary work. Here the space occupied by 20:50 was significantly smaller but much more ornate. 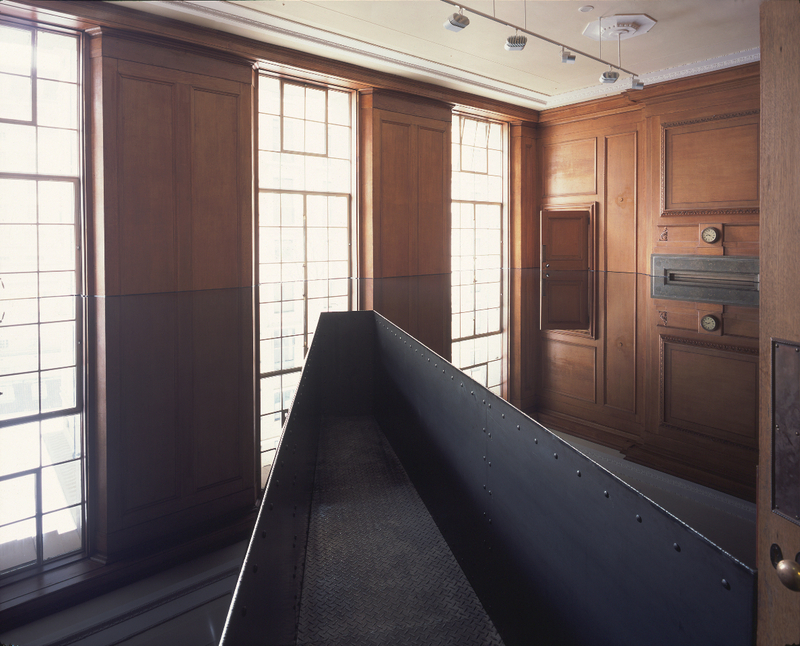 The walls were wood panelled an the installation seemed to disappear through an open door into another room. Though 20:50 is an installation that is able to adapt itself to whatever space it is given and to adapt that space to its own ends, this was not a location in which it truly flourished. The gallery’s current location – Duke of York’s HQ on the King’s Road – though situated in a grand building, is essentially a return to feel of the plain white – okay, it’s off-white now – space of the Boundary Road building. Here 20:50 is a different experience again. The work is once again given sufficient space but there is now a raised walkway from which it’s possible to look out across the space. Quite apart from the different vantage point, this is a space for more than one person so the solitary nature of previous spaces is traded for a shared experience. Sadly, concerns about insurance mean that the walkway into the middle of the space is currently roped off. The installation is as great as ever it’s just that no longer possible to get the full experience. I guess in part my resistance to the charms of later incarnations comes down in part to the fact that that first moment of disorientation can’t ever be recreated. It’s never as good as the first time. But it’s more than that. That extraordinary feeling of being alone in a space that somehow can’t quite be resolved with the reflection both increasing the volume of the room and turning upside down in front of us can’t quite be replicated as a shared experience. I miss it. 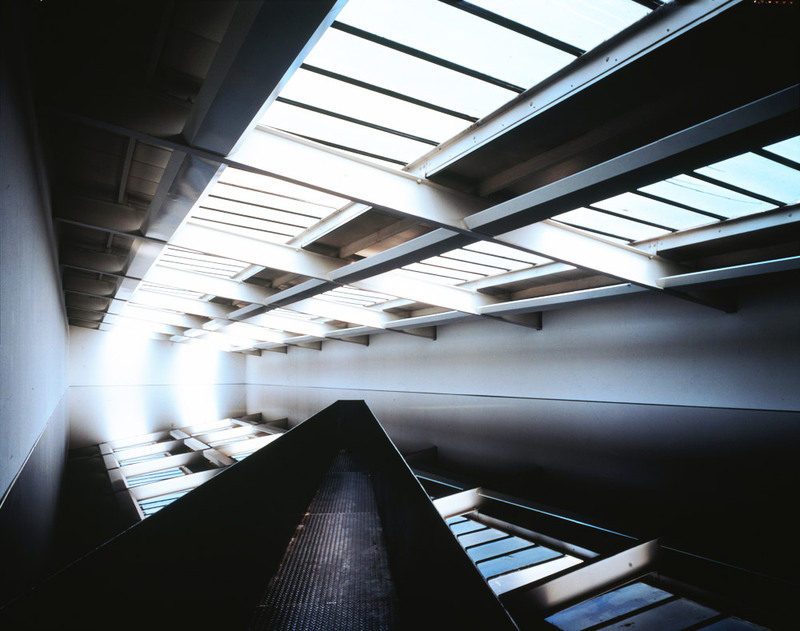 This entry was posted in Architecture, Installation, Intervention and tagged 20:50, architecture, art, installation, intervention, Matt's Gallery, Richard Wilson, Saatchi Gallery by Ann Jones. Bookmark the permalink. Me too. Not wishing to sound like one of the Likely Lads, but Saatchi was never the same after Boundary Road. 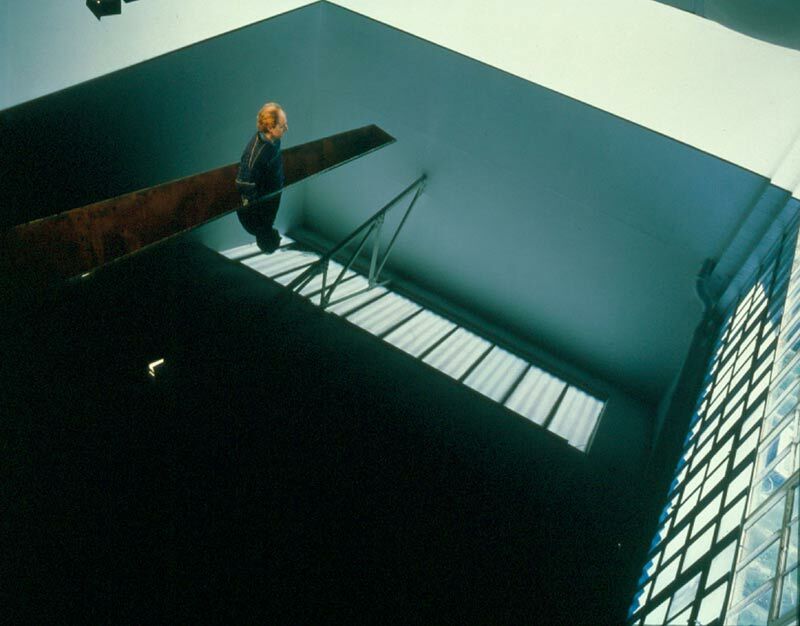 It seemed such a perfect space – as you said loads of great exhibitions (Young Americans!). Heh. The Saatchi Gallery is something that brings out the “it’s not as good as the old days” in me. But only because it’s true!